Sadly since posting our comment in Sept 2010 the Bolton Arms has deteriorated significantly. Went there this evening for wife's birthday. No rolls served at table until we asked. Glass of wine Sav Blanc �5.00, 1/2 ABC Resolute �1.70! Wife had Fillet Steak, asked for MR, got it very rare. Also found it very chewy. I order Breast of Guinea Fowl, got Leg and Scrawny Wing with no apology or reason. Only apologised when I complained. Even had audacity to charge extra �2.00 for serving of Garlic Butter with Steak. 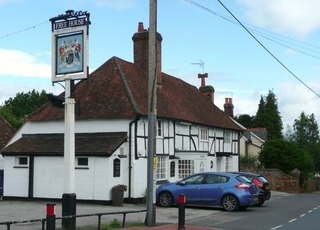 Have heard good reports about The Crown so will go there in future. The beer is good and the food is very good. What a great turnaround from the dump it was before. The landlord is a character and is always friendly to me and my family, as is everyone else working in the pub, I have never seem the landlady scowl and am amazed at that comment. If you want good food and service in a lovely place then this is for you. Been here a number of times recently, all in the evenings on week days and found the staff to be attentive, the beer excellent, if a little pricey, and the food very good, especially the starters and desserts. It's a shame Amy the pastry chef has moved on to a bigger pub to further her education. Would definately recommend it, and infact am going back tonight! We visited as a group of five on a Wednesday lunchtime. The pub looks a bit upmarket and we expected stuffy service etc. No so. 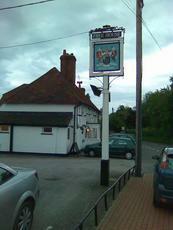 The beer was good (�3.30/pint), the sandwiches were moderately priced (for Hants.!) and the service could not have been more friendly. We'll try it again. Maybe we'll get to meet the landlord mentioned in other comments..